 In the spirit of sprucing things up around here, and to get the bookish conversation flowing, I will be hosting a giveaway called Follower of the Month! 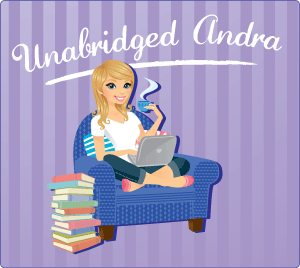 Starting now, and continuing on indefinitely, each month I will be dubbing one participant on the blog the Unabridged Andra's Follower of the Month! Much like an Employee of the Month, if you are the Follower of the Month, you will get your picture posted on the "wall" meaning my sidebar. I will also feature you in a post, and if you run a blog I will definitely link back. Think of it as a way for me to show my appreciation for all of my amazing readers,followers, and authors. I want a way to get to know some of you better, and to let you guys get to know each other too. And...what better way to show my appreciation than to give the Follower of the Month a book of their choice? That's right, if you are the FOM, you get to choose a book up to 10$ from Amazon or the Book Depository! This means internationals are free to be the FOM as well! As long as the Book Depository ships to your country, all things are good! 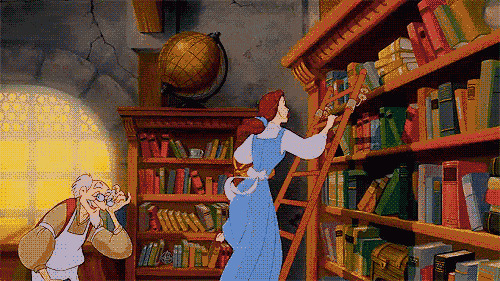 Let your inner Belle free and dance among the virtual shelves! SO. How do you get to be Follower of the Month? Simple...leave the most comments on non-giveaway posts in any given month! That means reviews, interviews, memes, discussion posts, everything that DOES NOT have a giveaway attached to it will earn you a point! The follower at the end of the month who has been a comment demon will get to pick out a book to treat themselves with! Oh...PS. Only MEANINGFUL comments please. I hate to say it, but I feel like if I don't then someone will just leave a comment on every post saying. "Nice!" and that won't count. I am doing this to stimulate discussion, conversation, and general awesomeness among all my followers...not to just gain cheap comments. So let me know what you think! Meet someone new! And GET READING!